Robert Glenn Kempton, 75, passed away Friday, June 15, 2018 at his home in Gilbert, AZ, surrounded by his family. Robert was born in Solomonville, AZ and moved with his family to Tempe, AZ in 1950 where he graduated from Tempe High School. He later served an LDS mission in Virginia and North Carolina. Robert began dating his sweetheart Barbara Ellingson in 1964 and they later married in the Mesa Arizona Temple in 1965. Robert and Barbara raised their 8 children in Tempe. Robert’s greatest joy was his eternal family. He loved spending time with his family and will be remembered lovingly as “Papa” to his sweet grandchildren. He was an active member of The Church of Jesus Christ of Latter-day Saints and developed a strong testimony of Jesus Christ and His atoning sacrifice, of which he freely expressed and lovingly taught to his children and grandchildren. 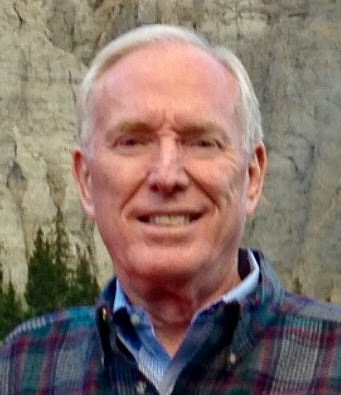 Robert was a respected attorney and member of the community, serving on the Tempe Union High School Governing Board and the Board of Directors for Salt River Project for many years. Robert is survived by his “angel-wife,” Barbara, of 53 years; children, Richard, Scott, DeeAnn, Brad, David, Lori, Michael, and Lisa; 33 grandchildren; 2 great-grandchildren; brother, Martin Kempton; and sister, Shirley Snedigar. A visitation will be held Wednesday, June 20, 2018 from 6-8pm, followed by services on Thursday, June 21, 2018 at 10am. There will also be a visitation one hour prior to the service at 9am. All services will be at The Church of Jesus Christ of Latter-day Saints, 1010 S Recker Rd, Gilbert, AZ. Robert has been a great encouragement and a good example in serving others and has helped me to be a better person. I greatly appreciate that. My love goes out to all of his family. I will miss him.